Be the first to share your favorite memory, photo or story of Stacie. This memorial page is dedicated for family, friends and future generations to celebrate the life of their loved one. Stacie M. Ellis, 51, of Dwight, passed away on Saturday, January 12, 2019, at St Joseph Medical Center in Bloomington, IL. Visitation will be from 4:00 PM to 8:00 PM Wednesday, January 16, 2019 at Hager Memorial Home in Dwight. Cremation rites have been accorded. Memorials in her name may be left to St. Jude Children’s Research Hospital, the Shriners Hospitals for Children or the Special Olympics. Hager Memorial Home in Dwight is in charge of arrangements. A Celebration of Life will take place at a later date in Mt. Sterling, IL. Stacie was born on November 25, 1967 in Macomb, Illinois, a daughter of Tyler R. Rensch and Linda A. Barrett Rensch Raines. She was formerly married to Joseph McCarthy. She then married Marc Ellis on January 3, 1997 in Fish Hook, Illinois. He survives in Dwight. 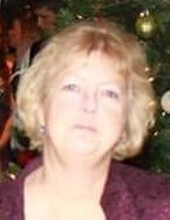 Survivors include her mother Linda (Glenn) Raines of Mt. Sterling, IL; mother-in-law, Vivienne Ellis of Quincy, IL; daughter, Lindie (Sam) Alsdorf of Pontiac; sons, Thomas (Samantha Smith) Rensch of Wilmington, IL, Pierson Ellis and Timothy Ellis, both of the home; step-daughter, Megan Ellis of North Carolina; brothers, Christian Rensch of Rushville, IL, James (Darcy) Rensch of Mt. Sterling, IL; brother-in-law, John Ellis of Quincy, IL, sister-in-law, Gena (Andy) Kittel of Germany; uncle, Tom (Shirley) Barrett of Brooklyn, IL; aunt, Peggy Southerland of Brooklyn, IL; nephews, Tyler Rensch of Littleton, IL, Wesley Rensch of Rushville, IL, Regan Rensch of Mt. Sterling, IL; 2 grandchildren, Boston Alsdorf and Wyatt Rensch and one grandchild who is yet to arrive; many cousins. She was preceded in death by her grandparents; father, Tyler Rensch; father-in-law, Gene Ellis; many aunts and uncles especially, Jurl Southerland, Jim and Nellie Greenwell. She was a member of the Disciples of Christ Church in Mt. Sterling, Il. Stacie was part owner of Tony’s Old Place in Quincy, IL. She completed her bachelor’s degree at Quincy College and enjoyed substitute teaching in the Life Skills room at Dwight Township High School. She loved the Chiefs, Bears, Cubs, gardening, shopping for antiques and 4-wheeling in the woods. Above all else, Stacie loved her family and she will be greatly missed by all who knew her. "Email Address" would like to share the life celebration of Stacie M. Ellis. Click on the "link" to go to share a favorite memory or leave a condolence message for the family.